Blurb: A return to form for Filter, balancing underground industrial rock with mainstream alt. metal with just satisfying results. Filter has always been a band to skate the fine line between the industrial rock of the underground and the alternative metal of the mainstream. For 18 years, Richard Patrick has infused his particular brand of rock & roll rage with a fair helping of electronics and programming to give his music an edge that has now become part of the paradigm of modern production. The 2007 album, Anthems for the Damned saw the band moving toward a more introspective direction, taking on the politics of the time in a manner reminiscent of U2 and KMFDM, though hardly as passionate and not nearly as musically effective. The Trouble with Angels presents listeners with a return to form as each of the 10 tracks unleashes Patrick with some of his most melodic and his most metallic modes in years. From the opening ominous bass line of “The Inevitable Relapse,” we are taken back to the days of “Hey Man, Nice Shot,” with Patrick’s vocals shifting between a mild autotune croon to his familiar screams as the music blasts out with a mix of programmed rhythms and pummeling guitars. Yes, indeed, the electronics are back as much of the album follows suit with the electronics remaining ever present but seamlessly blended into the background as the thunderous percussion and guitars dominate the mix. Patrick continues to balance melody with malignancy as “Down with Me” blisters from the ambient verses into the abrasive chorus to make for a catchy bit of industrialized alt. rock. The same can be said for songs like “No Love” with its marching beats and infectious grooves, while the title track takes on a melancholy ambience similar to the likes of 16volt before breaking into one of the more somber melodies Filter has yet exhibited. And then you have a bit of no holds barred aggression as Patrick screams nonstop through “Absentee Father,” only to be offset by the tearjerkers “No Re-Entry” and “Fades Like a Photograph (Dead Angel),” both of which prove that Patrick has not neglected his sensitive side. 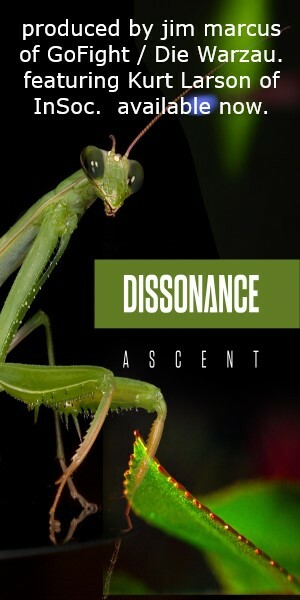 The deluxe edition includes a bonus disc with five extra tracks that further indicate the more electrified approach Filter has taken with The Trouble with Angels with “Shot from the Sun” and Clayton Worbeck’s mix of “The Inevitable Relapse” being the best examples, while other tracks like “My Life Before” and “Plume” allow Patrick to soften up with some somber but saccharine sweet pop fare. 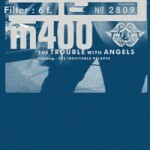 Ultimately, The Trouble with Angels will be a pleaser for Filter fans disappointed by the band’s shifting toward mainstream acceptance on later albums; it’s probably the angriest Richard Patrick has sounded since Short Bus. On the other hand, it’s hardly Filter’s most adventurous outing and while the band set a precedent for the style in the ‘90s, little has been done to expand on that, making The Trouble with Angels a rather vanilla album at best.